Hello out there!! Welcome to another great edition of Linky Love! Last week's Frugal Friday was the biggest to date...and chock full of frugal inspiration. It brought with it lots of pillow posts...so today I thought I'd share a few of them with you. 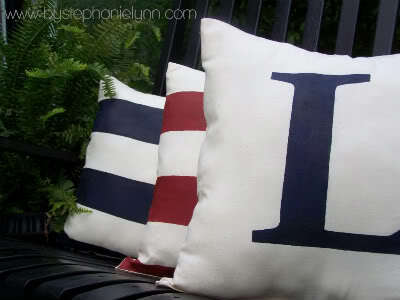 First up, Under the Table Dreaming shared a fun painted Cabana Pillow tutorial...so fresh and summer-y! Next, Lemon Tree Creations gave a great tutorial for making oversize rosette pillows. Decor to Adore shared a ticking pillow tutorial. 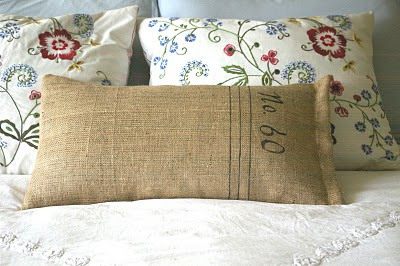 And finally, The VG Huis shared her fun burlap pillow makeover. 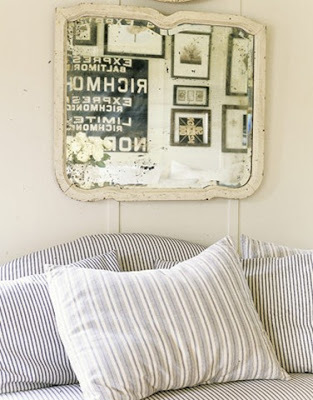 For more pillow posts and other fabulous Frugal Inspiration click here. Love the ticking and love the burlap. Very much. It's funny how a pillow can change a room! I found some at a garage sale this last week for $0.25 each and they were amazing!